Review the Promotional Opportunities Brochure and contact us today! 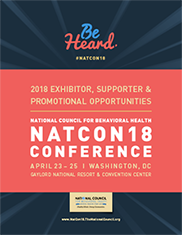 Get your name, brand and product in front of the 5,000+ NatCon18 attendees and reach behavioral health’s most desirable audience. 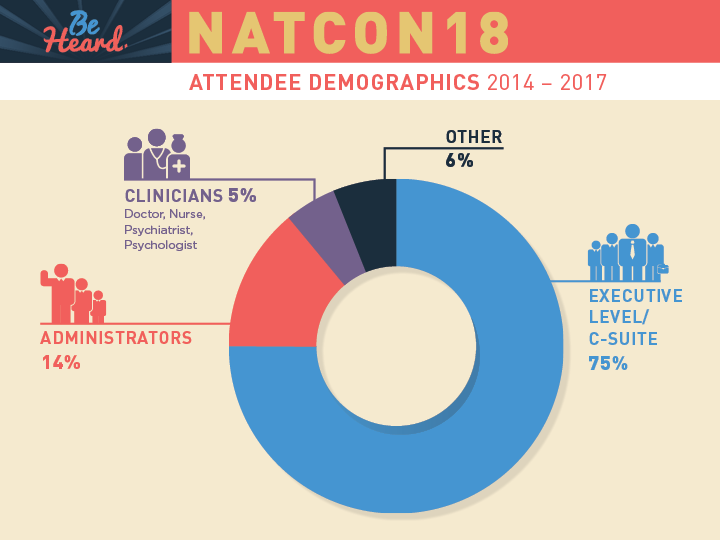 Whether you offer health care product and service solutions or want to showcase your model programs and best practices, NatCon18 is the place to connect and gain visibility with your ideal network. See the Promotional Opportunities brochure and explore the possibilities. Additional information on the NatCon18 Solutions Pavilion is also listed below. Contact Danny Linden at 202.684.3729 or DannyL@TheNationalCouncil.org. The National Council Solutions Pavilion has hundreds of business solutions to help your organization stay ahead of the curve. Learn about the latest technologies and health IT. Find solutions for your programs and services — architecture and facility design, care management, accreditation, consulting services, education and training, crisis intervention, financial services, furniture supply, insurance, pharmacy services and staffing. 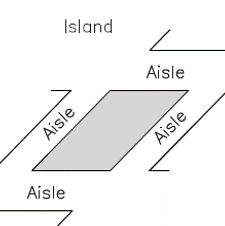 You’ll find all the people you need to talk with to improve your organization. Review and download Exhibitor rules and regulations. Explore the Solutions Pavilion exhibits map before reserving your space. Reserve your booth at the NatCon18 Solutions Pavilion today. For questions, please contact Danny Linden at DannyL@TheNationalCouncil.org or 202-684-3729.